This post is part of Sci-Fi November, which you can read all about here. 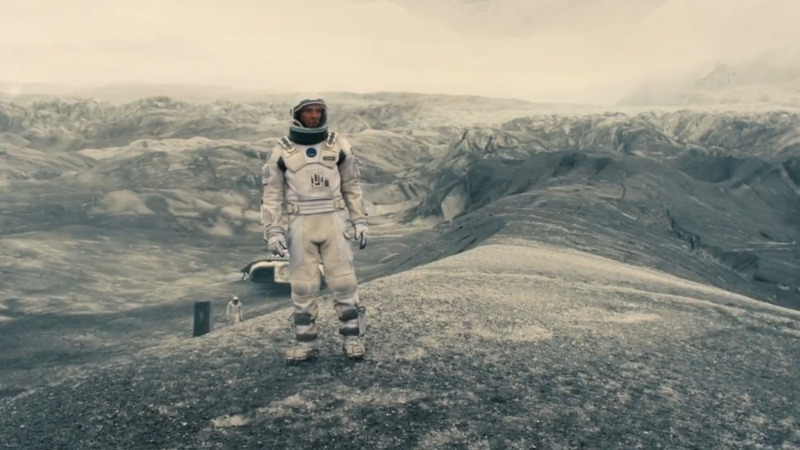 I haven’t seen “Interstellar” yet, but I have seen the teaser trailer, the official trailer, TV commercials and some feature stories in the NY Times, so I’ve been given an impression of the film and know it will have moments of sheer transcendental brilliance, and it will be an overlong, bloated slog that will leaving me feeling dissatisfied. Here’s my Half-Baked Theory on Movies Directed by Christopher Nolan: the shorter the running time the greater the satisfaction. Case in point: “The Dark Knight” (clocking in at 152 minutes was a thrill ride, until it had to go and not end and follow through with the Harvey Dent / Two Face story). Thus it ranks as one of his least satisfying movies. “The Dark Knight Rises,” which is 13 minutes longer, is proportionally more dissatisfying: so much great spectacle (Hines Ward running as the football field behind him collapses? Wow!) and then so many stupid fist fights – FIST FIGHTS!?! ?